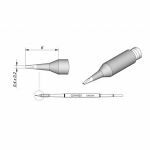 JBC Tools C210 Series Cartridges for T210-A Precision Handpiece. 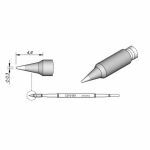 The C210 cartridges are appropriate for precision soldering jobs with medium power requirements. 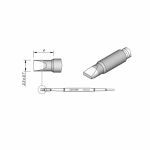 Due to the size, these cartridges are perfect to work with SMD, under a microscope, or with conventional components. 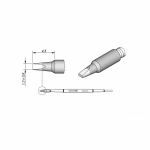 Purchase JBC Tools C210 Series Tip Cartridges sold by Howard Electronics Today!